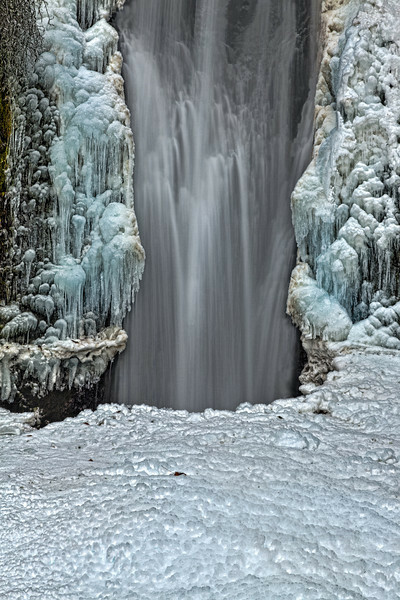 Frozen Lower Multnomah Falls Columbia River Gorge Oregon. I've been told that during longer cold streches the pool at the bottom fills up with frozen mist. Sometimes up to the lower viewing platform.